Omni-Channel, Beacon Technology, Curated Shopping – in almost no other industry is progress moving at such a fast pace as in commerce. However, an elementary building block for success is still missing: a clearly defined system of key figures and KPIs for commerce, which are required for data-driven business optimization, in particular, with the new digital and digitally-supported business models. As a BI provider that specializes in commerce, we often feel this gap – just like Project A, which also faces similar challenges when managing their ventures. That is exactly why we have joined together: to fill this gap with life! This gap is a serious drawback that is often criticized by experts, but it has not yet been remedied: hardly a commercial (let alone eCommerce) company has a clearly defined key figures system, on the basis of which a solid reporting and analytics infrastructure could be built up, and ultimately a data-driven work culture could be established. The fact that there is no resource in the public sphere that serves as a basis for the development of such a system has a detrimental impact on many companies: Specialized departments talk at cross purposes when they put the so-called harmless word "sales" in their mouths, employees invest hours and days in the production of reports despite the lack of consensus, business intelligence projects fail due to the lack of a viable theoretical foundation – in short: the competition-critical requirement of an organization-wide data-driven work culture cannot be met today. However, this is not the only symptom of the problem. In addition, cross-company benchmarking and training of specialists is particularly difficult in the eCommerce sector due to the lack of an industry-wide key figure standard – the associations and training institutes have been struggling for years with this obvious gap. In collaboration with Project A, we will finally close this gap: together with bevh, Spryker, commercetools and shopanbieter.de, we are working on the development of a Commerce Reporting Standard that covers eCommerce, POS and, above all, Omni-Channel business models. Every commerce company should have access to this standard and be able to benefit from the shared knowledge, regardless of the specific technologies involved. Our vision: By bundling commerce reporting best practices into one comprehensive model, we want to provide commerce companies with a short-cut to a data-driven decision culture – and enable easier industry benchmarking. Specifically, this is how it works: The web platform commerce-reporting.com will be the heart of the project. Here, specific topics will be discussed publicly – prepared in compact blogposts – and a comprehensive knowledge pool will be built, step by step. In addition, the core partners of the project will come together on a quarterly basis in workshops to finalize discussion results and to decide on individual sections of the Commerce Reporting Standard. 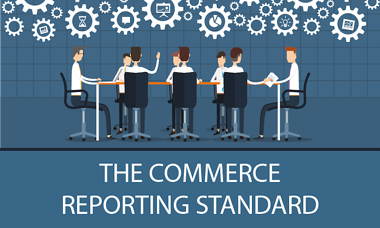 These finalized sections will then gradually be made available to the public at commerce-reporting.com. Does that sound exciting for you? Have a look at our project website and get involved in the discussion! To stay informed about the progress of this project, please register for our newsletter. 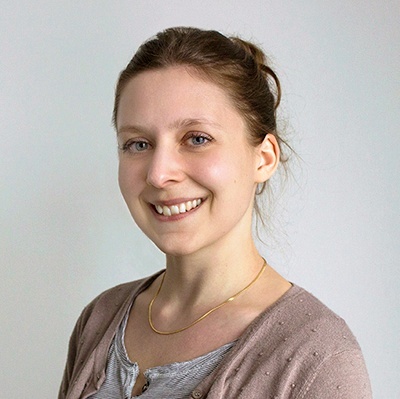 For a personal discussion about the project, please contact co-initiator Anne-Katrin Böhme at anne@commerce-reporting.com.